With the product FUSION Data Service you may transform many different GIS data formats into other data formats. Besides a number of pre-configured input data (e.g. IS019100 compliant data) and some pre-defined output data formats, you may also read in other data formats such as Esri Geodatabase, Esri Shape, DXF, or OGC GeoPackage and transform these into a certain target format (DXF, Shape, GeoTiff, PNG, JPG, Esri Geodatabase, OGC GeoPackage, …). The FUSION Data Service is based on the Feature Manipulation Engine® of the Canadian company Safe®. The FUSION Data Service fulfills the INSPIRE standard but additionally gives high flexibility for individual transformations. Supported by simple configuration possibilities, the end user may implement very demanding requirements without any programming knowledge. 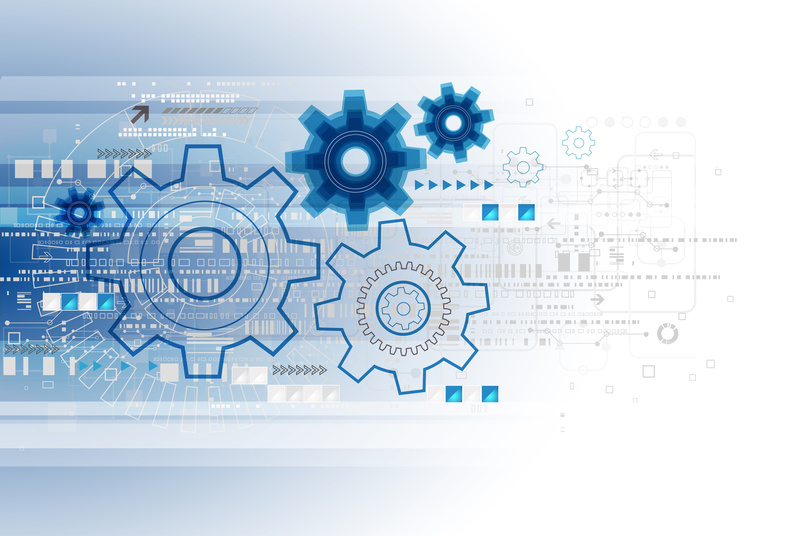 Furthermore, data transformations may be quickly and safely standardized. This way you may add value to your data by creating new, standardized and individual information products. An important feature is also to combine several input data sources and formats into one common information product, or to compare different data sets and publish the results using standard methods such as WMS or WFS. The FUSION Data Service is continuously further developed, currently the creation of the OGC data format GeoPackage or GeoJSON is being implemented. 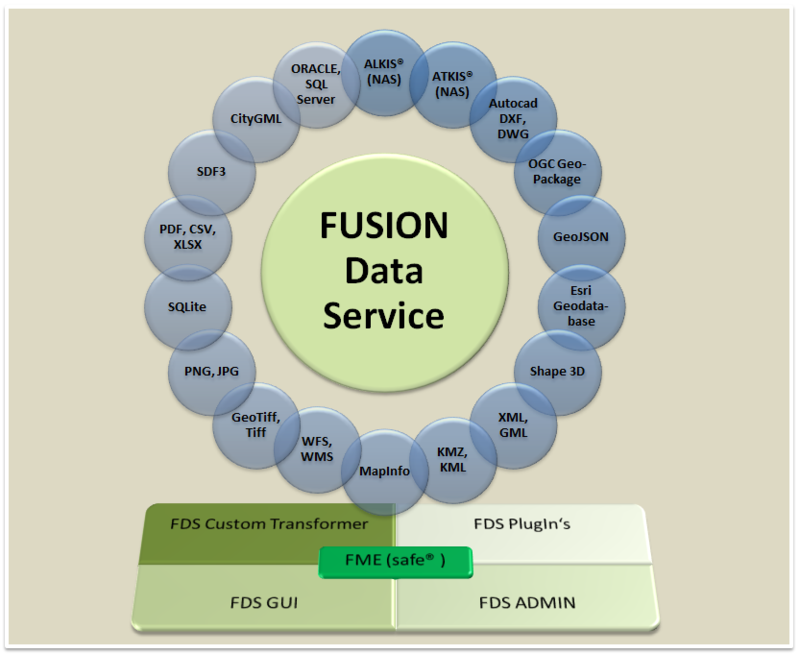 The FUSION Data Service dramatically facilitates data transformation by flexible pre-configuration.